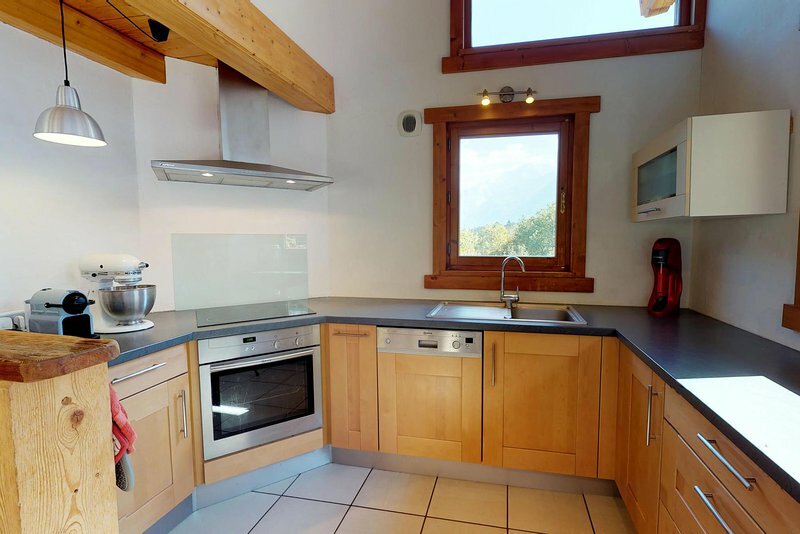 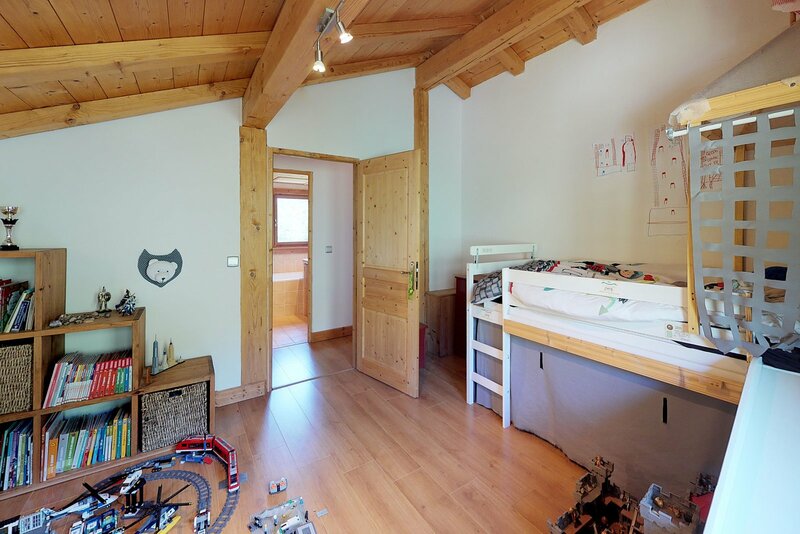 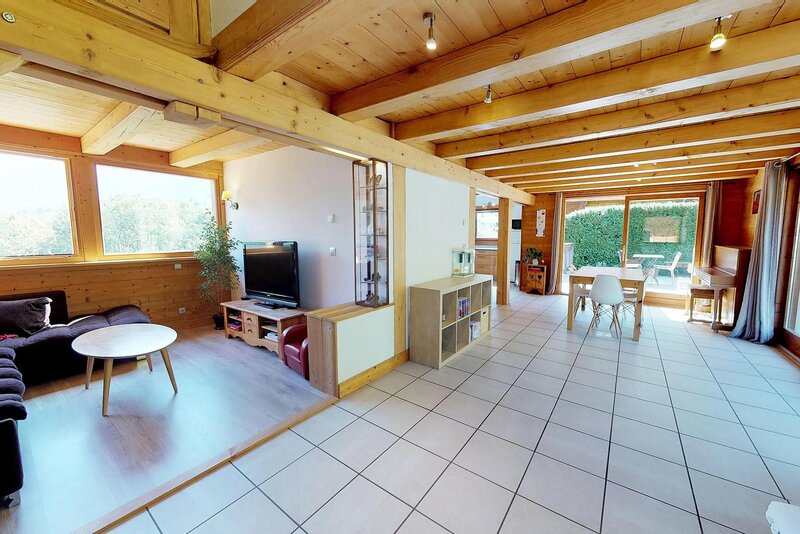 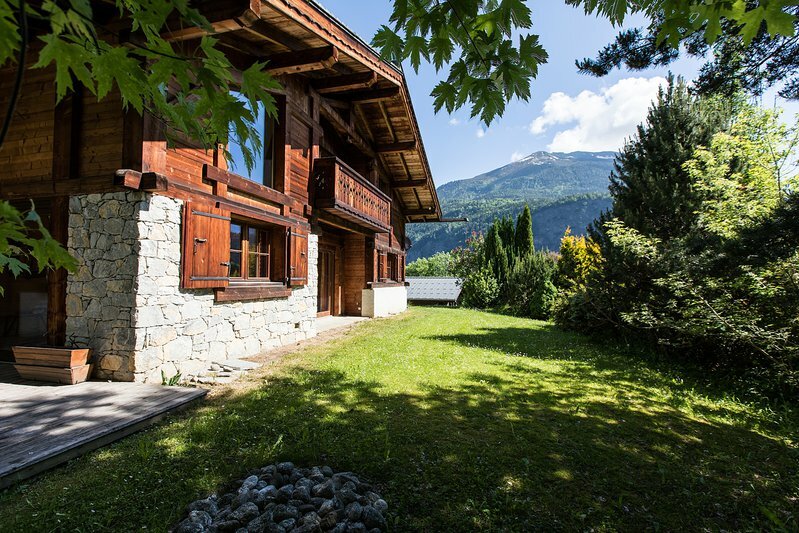 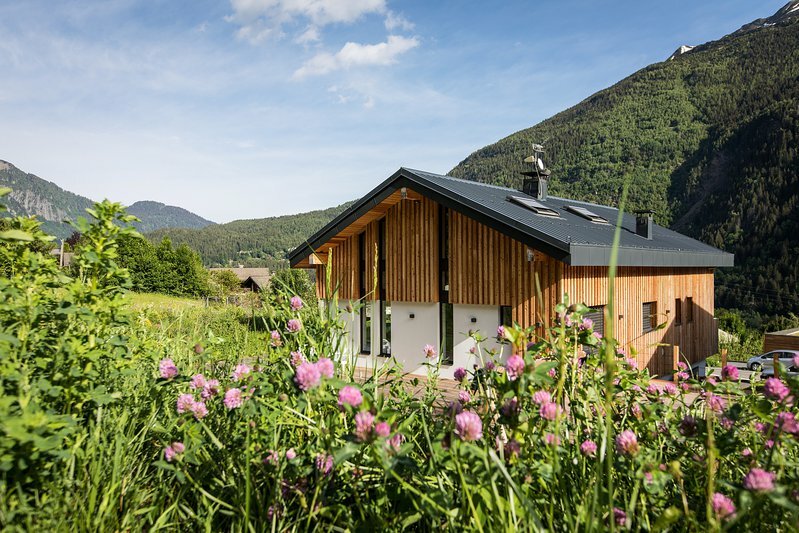 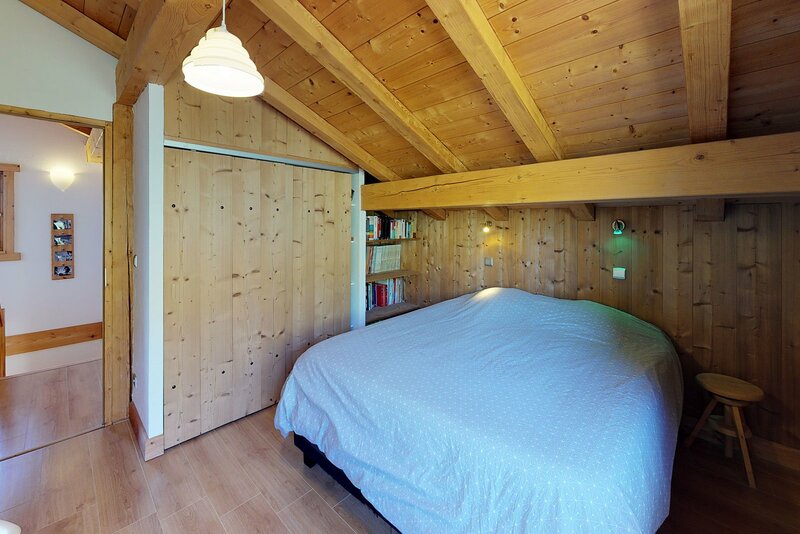 Bellevarde is a recently built 160m² chalet in Les Houches with three bedrooms, two bathrooms, a large bright open plan living room with separate kitchen and a large south-facing terrace. 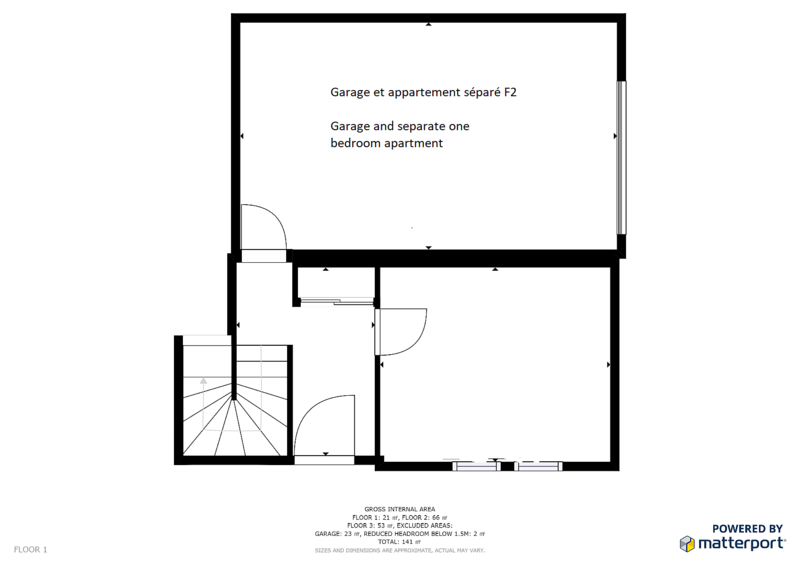 There is a separate one bedroom apartment on the ground floor. 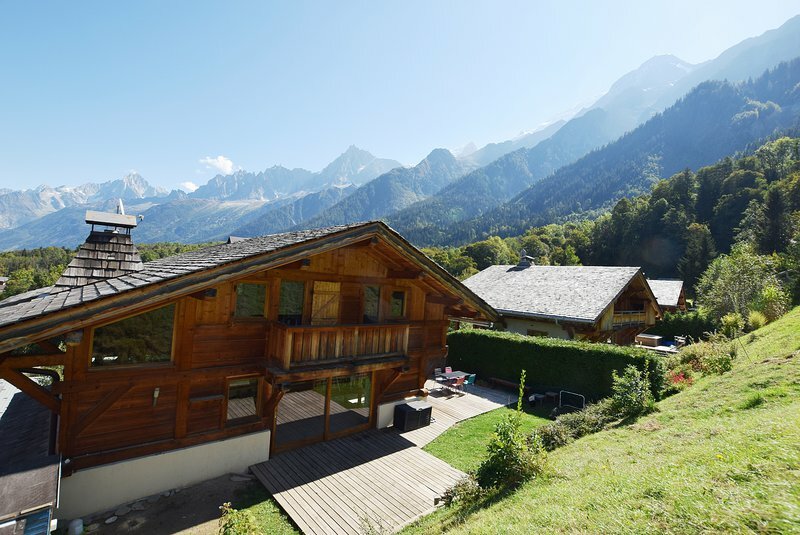 The chalet was built on a plot of 936m² and has spectacular views. 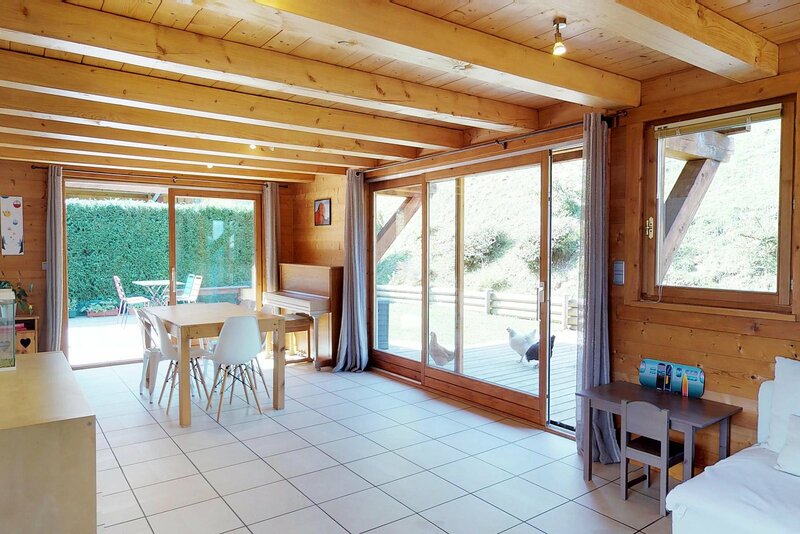 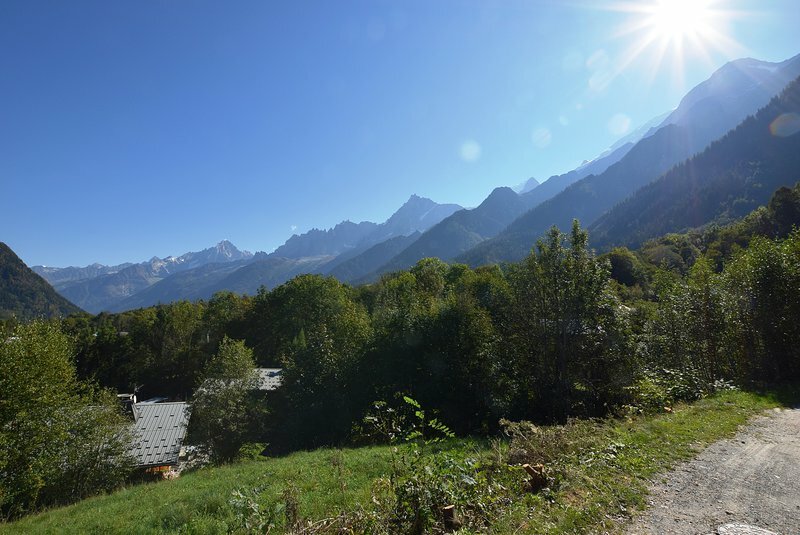 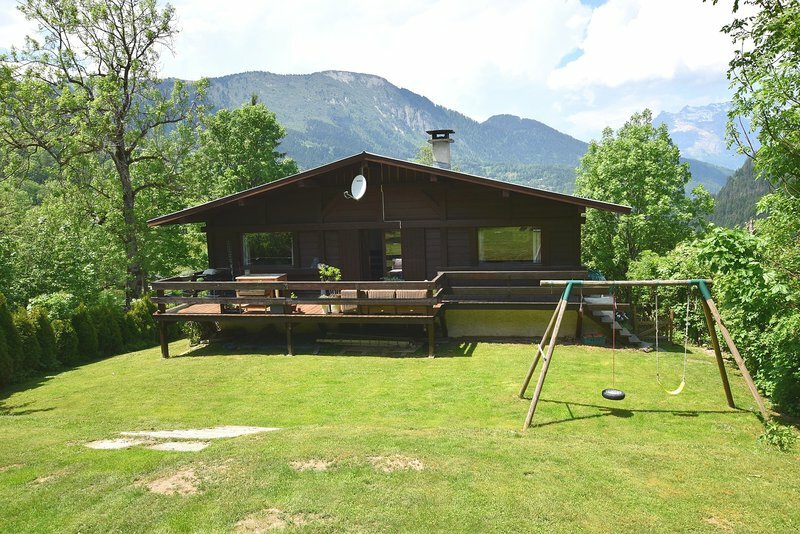 Chalet Bellevarde is a lovely family home situated in a quiet location of Les Houches but very close to all the local amenities. 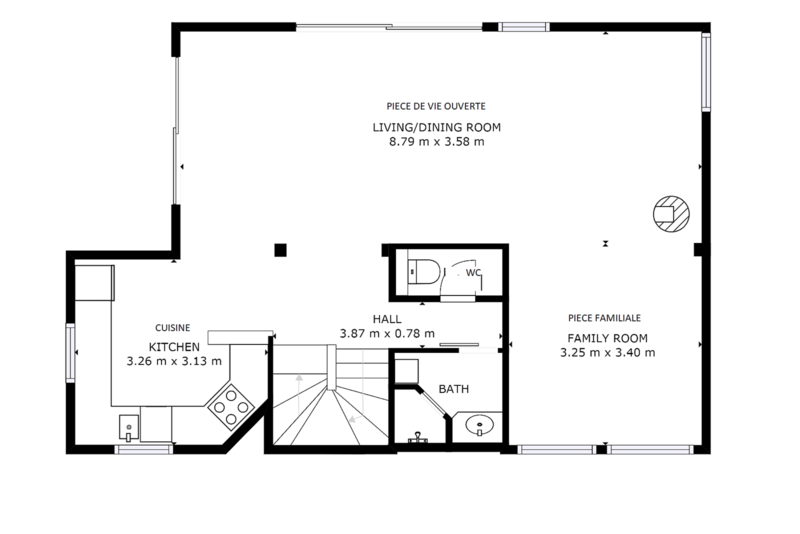 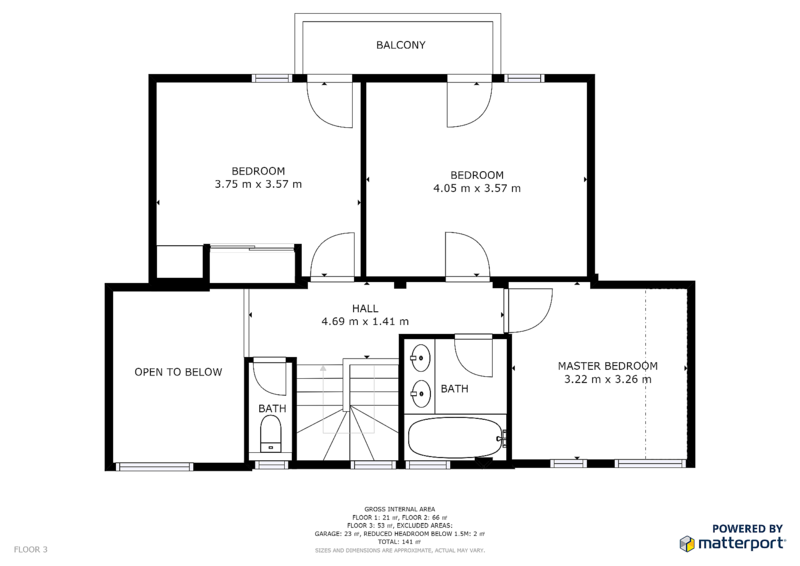 It offers bright, open-plan family living with the possibility of rental income from the apartment. 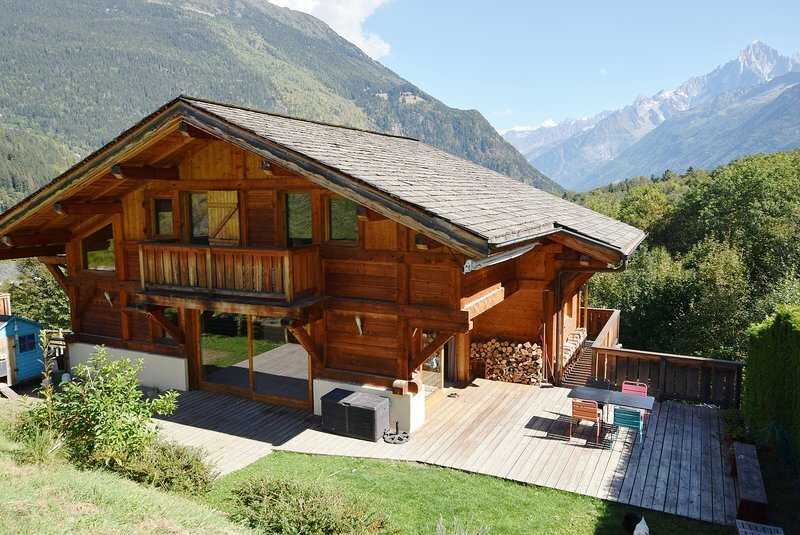 Alternatively it is a great lock-up-and-leave holiday home. 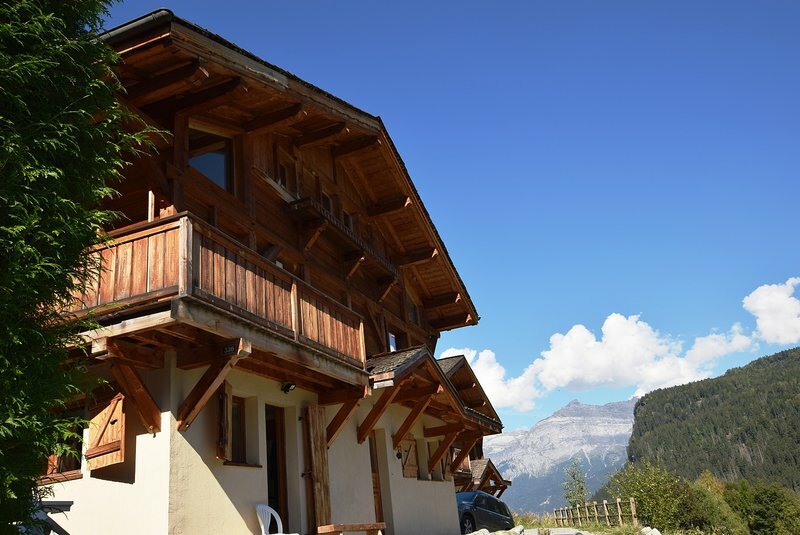 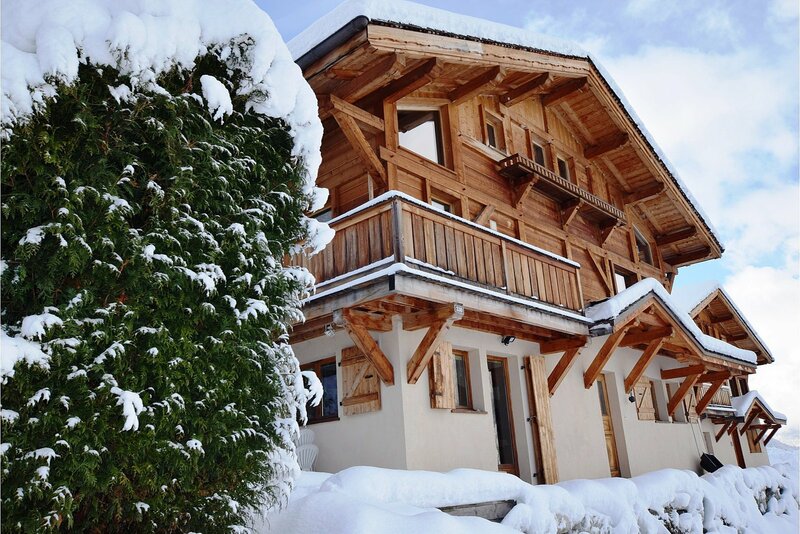 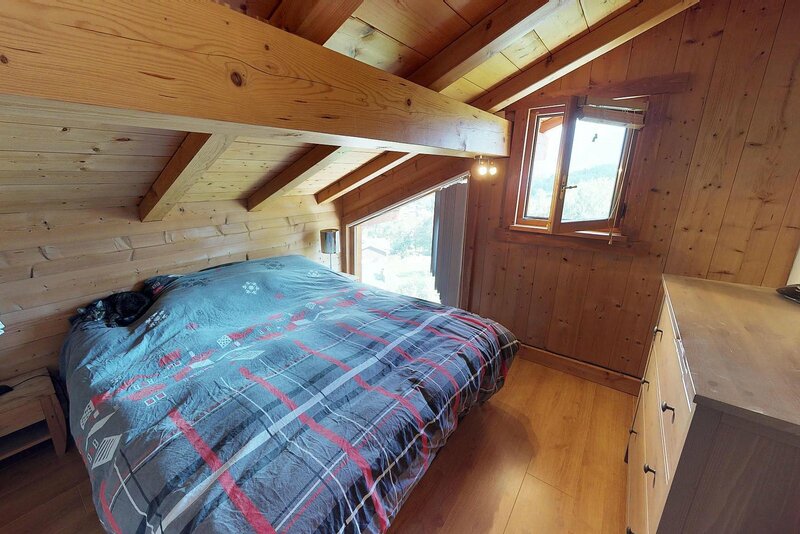 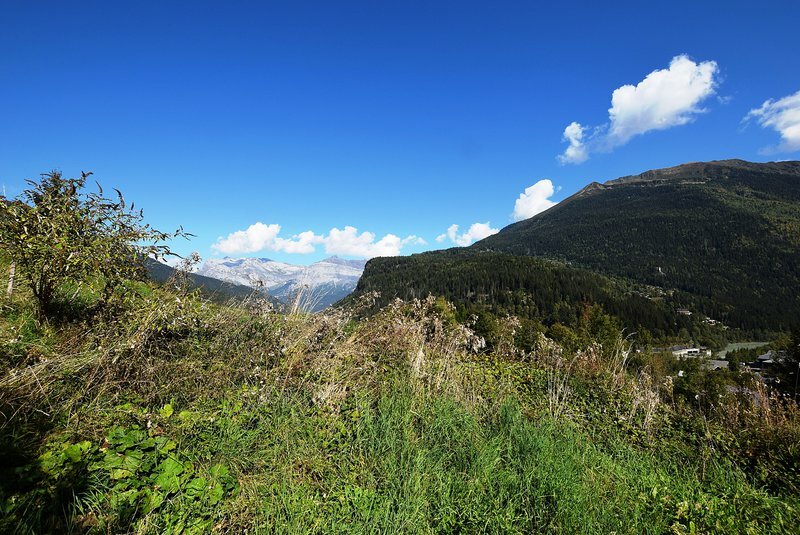 Chalet Bellevarde is located in an elevated position just above the centre of Les Houches. 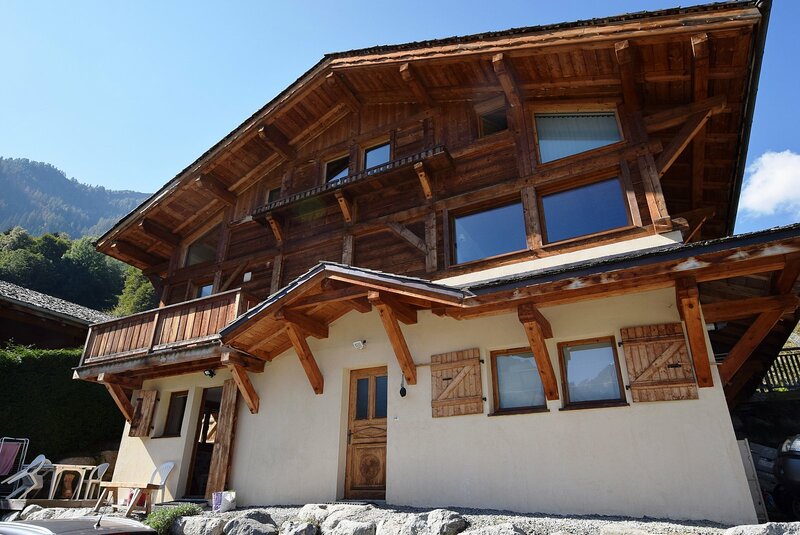 The chalet is within a 10 minute walk of the Bellevue lift, and also of the local supermarket and bars, restaurants and shops.